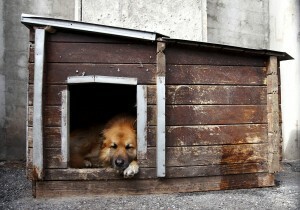 Welcome to get to know Rescue Association HOBO DOGS! 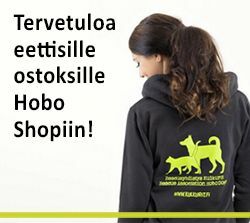 We are a group of animal protectors from Finland. As an association we are fairly new, founded in 2012, but our members and associates have been operating in the field of animal rescue for a long time. Our team consists of dedicated and experienced volunteers, and our goal is to make a positive change in the treatment of animals. Our vision is a world where there is no need for animal rescue associations, where every pet has their own home and is taken care of, both physically and mentally. 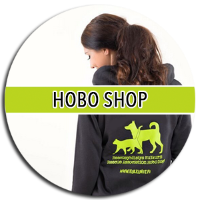 Hobo Dogs aims to influence the decision makers in Romania to make a difference in the attitudes towards stray animals, making the living conditions where the animals currently live in safer and more humane, and to safely and effectively reduce their numbers. 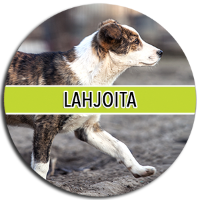 Our mission is to help decreasing the stray dog and cat populations, and also to affect the treatment and conditions of animals. In our co-operation country, Romania, we would like to have an effect on residents attitudes towards animals, also acknowledging the importance of the local government in these issues and the problems that arise with a poorer standard of living. Our values respect sustainable development and the well-being of animals. Life itself and physical health are not a guarantee of a life worth living, and we believe that animals should be given the chance to fulfill their behavioral needs and to live in an unstressed, safe, and painless environment. Everyone can support the well-being of animals by everyday choices. We believe that only through education of the local people, setting an example on responsible pet ownership and vast sterilization campaigns can we truly affect the issues with stray animals. Our main co-operation country is Romania, where our help is very much needed at the moment and where we have known our partners for several years. We work with several different animal rescue associations and independent rescuers, with whom we have extensive campaign for both sterilizing and re-homing animals. We select these partners with great care, and expect transparency towards us in their operations. We feel that transparency and open information is a vital factor in succeeding in the field of rescue work, and a big part in respecting our supporters. We have all of the information about donations we have received on our internet site, so that it can be viewed by our supporters at any time. Sterilizations are the only sustainable, effective and humane solution to the stray animal problem on a long term basis. 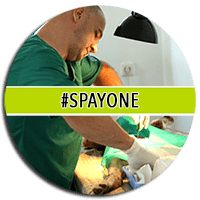 We support sterilizations in Romania in co-operation with local operators, and have several different, on-going projects to help sterilize animals both at the local shelters and on the street. We have paired up with other associations, such as Romania Animal Rescue, to carry out short term projects as well. We feel that these different projects not only reduce the number of animals born on the street but also raise awareness on the importance of sterilizations among the local community. Animal adoptions are also an important part of our work. Adoptions alone don’t solve the problem of stray cats and dogs, but because they give individuals the chance to better life, they are an essential part of our work. Adoptions are one of the most important ways to create bonds between people and animals and to help increase the knowledge about animal protection and rescue. In addition, adoptions give an alternative way to have a pet by supporting sustainable development. We also aim at improving the living conditions of our partners’ animals, by helping concretely with the everyday tasks at hand. This means supporting them with costs of the shelters, food and medical care for the animals as well as coping with the everyday problems and complications that arise in working as an animal rescuers. It’s also immensely important to affect the attitudes of the animal protectors with aiming at reasonable and sustainable conditions, for example by reducing the number of animals at their shelters, and the acceptance of euthanasia when needed. One of our important goals is to educate people, especially children, on the issues surrounding the well-being of animals. 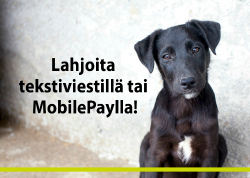 Furthermore, we aim at impacting laws and decrees concerning animals here in Finland and in our co-operation countries. 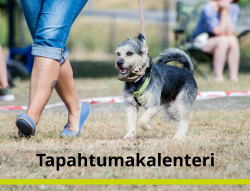 We are in close contact with the lawmakers and government officials on Finland about these issues, and aim at having good working relationships with the local governments in Romania as well. Rescue association Hobo Dogs arranged Yes! We Care! 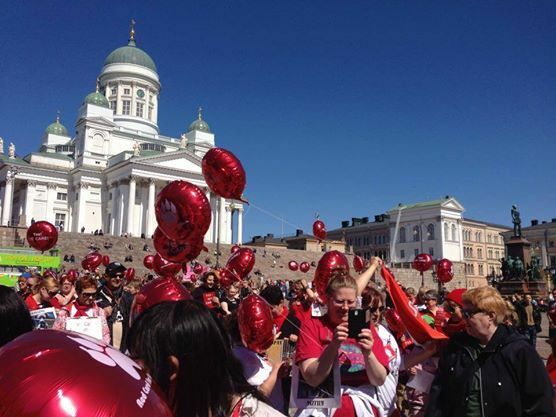 demonstration in Helsinki 17 May 2014.